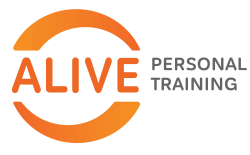 Joining the Alive team in 2017, James has a strong passion for using exercise to improve health and well-being. If you’re the type of person who needs their exercise routine to motivate them, you’ll love James’ fun and exciting way of training his clients. ‘It’s only when we listen that we truly learn what people need. By helping my clients put together appropriate workouts, I love applying my training skills to help a diverse range of people to increase their fitness and overall wellbeing’. You’ll find the never stopping James playing football, tennis and basketball, before heading off to the water to enjoy a day of water skiing.